At 26, most people are beginning to discover their passions and what to make of them. Mark Zuckerberg is the exception. Never heard of him? He happens to be the creator of Facebook, the biggest social networking website in the world. He is now the youngest self-made billionaire in history, with a net worth of $4 billion, according to Forbes magazine. Not too bad for a Harvard dropout. Facebook, the brainchild of Zuckerberg, has gained monumental popularity, all the while making those on Wall Street hungry for a piece. For this he finds himself in a precarious situation – continually resisting those in the financial district and their tempting offers to take his company public. This, while dealing with the populous of Facebook and the privacy concerns it comes with. Not many could walk this fine line, but much like the social network he created, Zuckerberg is something special. Born May 14, 1984, in White Plains, N.Y., Zuckerberg showed a strong proficiency for computers at a young age. While attending high school at Phillips Exeter Academy, Zuckerberg began work on several advanced computer programs; the most sophisticated being a music player called Synapse. Using artificial intelligence, this program could learn users’ listening habits and was so advanced, both Microsoft and AOL attempted to purchase the software and recruit Zuckerberg. Instead, Zuckerberg refused and went on to attend Harvard. After being reprimanded by Harvard for his website “Facemash” – a site similar to HotOrNOt.com – Zuckerberg started Facebook. Allowing Harvard students to create an account and network with other students, Facebook quickly grew, expanding to all Ivy League schools. By the end of 2004, there were over 1 million registered users connecting with friends and uploading pictures. The daring twenty-something has already turned down generous offers to sell his company, but you know what they say: belief is a powerful thing. Every time Zuckerberg rejects, he shows concrete confidence that this new form of communication he created with two buddies in his Harvard dorm room is revolutionizing the world. Zuckerberg has connected the world in a dynamic, time-consuming way. Each day, Facebook earns millions of dollars in advertisements and sponsorships, making the Facebook experiment a profitable business. There’s big money to be made, and Zuckerberg will profit close to $2 billion by the end of 2010. Perhaps what is most amazing was the refusal to sell Facebook to Internet giant Yahoo Inc. in 2006. No one but Zuckerberg and Yahoo know what took place, but after being offered $1 billion for Facebook, Zuckerberg walked away. “Mark is a very socially awkward person. He has a lot of trouble interacting with people. He also wants to rule the world, you know, he wants to run Facebook, he wants to be the head of it, he doesn’t care about money … he doesn’t care, he’s turned down money all of his life,” comments Mezrich. Since leaving the billion-dollar-deal on what was certainly a very large table, Zuckerberg has seen his stock value rise, along with his company’s popularity. “He doesn’t live like a rich person, he lives like he’s always lived – he’s just a workaholic. He’s obsessed with Facebook and making it better and better. There’s so much to his personality … he’s an amazing guy, he’s absolutely a genius,” says Mezrich. After the Yahoo deal went sour, Bill Gates added salt to its very public and embarrassing wound by offering the young Internet entrepreneur $240 million for roughly 1.6 per cent of Facebook’s valuation – a small but lucrative piece of the pie. Giving Microsoft exclusive word-of-mouth advertising and joining Facebook to the largest technology company in the the world, the nerd-king adopted the nerd-prince. Zuckerberg continues to resist offers to trade his company publicly. Instead, he talks to Intel CEO Paul Otellini and Oracle Group President Charles Phillips about how to run his independent company better. A baby billionaire, the world is Zuckerberg’s playground. In four years, Facebook went from seven million users to well over 400 million and is now available in 95 countries. By January of 2008, 60 million users had signed on, thrusting the company’s value to $15 billion. Today, there are more than 500 million active users on Facebook. Fifty per cent of these active users log-on in any given day, and two fifths of Internet users have Facebook. On average, visitors spend more time on Facebook than the sites of Microsoft, Google and Yahoo combined. “Young people want to be famous; everyone wants their information known. So it’s funny when you talk to high school kids and you say, ‘If you put this on Facebook, everyone can see it.’ They say, ‘Yeah, that’s the point.’ They want everyone to see it,” observes Mezrich. Hollywood can’t resist the hype, either. 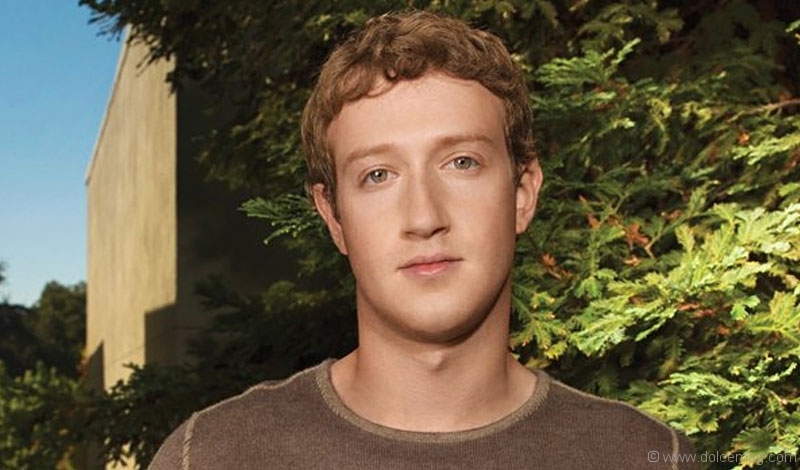 On Oct. 1st, 2010, The Social Network movie will recount events throughout Zuckerberg’s life. From the writer of The West Wing and A Few Good Men, Aaron Sorkin brings the untold story behind Facebook to the big screen. Even if they make Zuckerberg look like a cold-hearted jerk, his loyal following will view him as the rebel-nerd who made it. Recently, Paul Ceglia – a resident of upstate New York – sued Zuckerberg, claiming an 84 per cent stake in Facebook. The hearing on Ceglia’s lawsuit is scheduled to take place in October. Zuckerberg is fighting the lawsuit. Let’s face it: everyone loves Facebook. In the ten minutes it took to read this article, roughly 1.7 million people checked their Facebook. If it weren’t for Zuckerberg, we would probably be communicating through some other social network; Facebook just happened to get it right.